Taken at The Museum of Flight in Seattle. 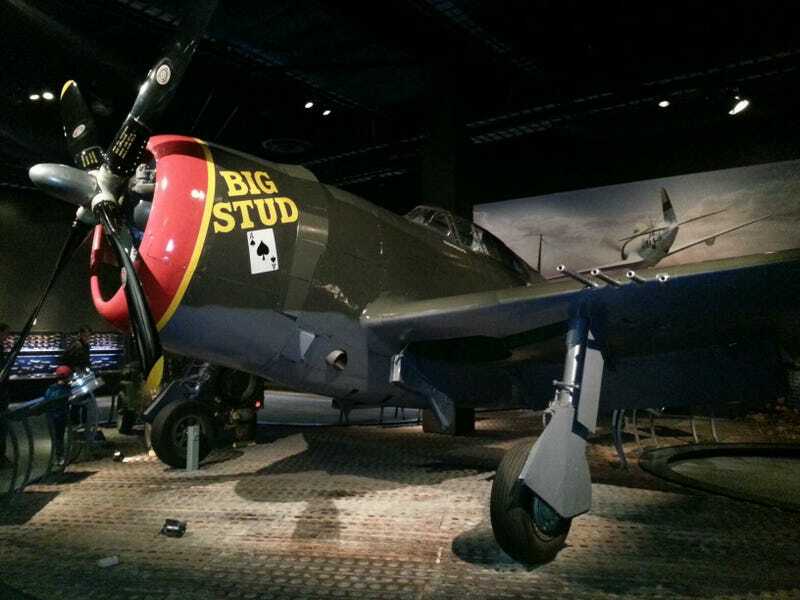 If you've never seen a P47 in person, you should. Like you'll see the newer planes, F4s and F14s are really big...then you see a Spitfire or a Bf109 and they look tiny. But the P47 is just absolutely massive. It weighed twice as much as a Bf109G...in fact in P47-N configuration, it weighed almost as much as a P-38 despite only having one engine. Easily my favorite plane of WWII.